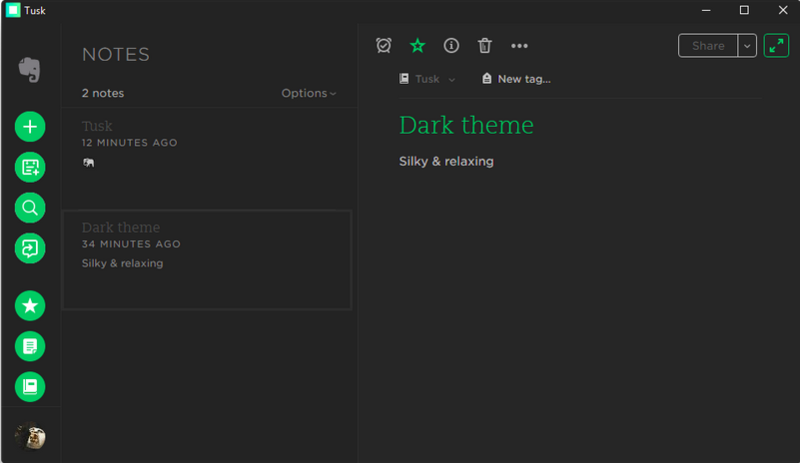 Tusk is free open source unofficial third-party Evernote client for Windows, Mac OS and Linux. It is built using Electron framework. Evernote is a popular note taking app used by more than 110 million peoples. You can do some additional things compared to the official Evernote web app. It comes with some beautiful themes like Vibrant Themes, Sepia Theme, Dark Theme and Black Theme.It also comes with compact mode to downsize your window. You can configure your Tusk app with custom shortcut keys. You can also print and export your notes as pdf document. Some other important Tusk features are Yinxiang support, Auto Night Mode,build-in Markdown support and scalable interface. For Ubuntu linux Tusk is available as AppImage, Snap and deb packages. To install via latest snap image, open your terminal app and run the below command. Please quit the fakeness of Ubuntu = Linux.